Angie was a professional dancer in New York City and started running as a way to keep fit and meet new people when she moved to Salt Lake City in 2009. She has now completed over 100 marathons in 28 states, including two 100-mile ultra marathons. She plans to complete the 50-state sweep soon. 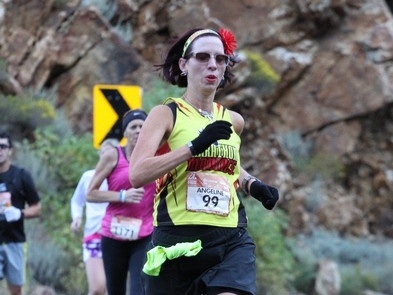 Angie is a friendly face among Marathon Maniacs and is known for her ability to make races fun for those around her.